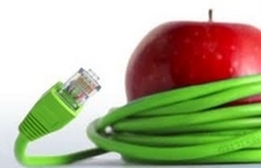 This is a growing list of links to technology that will enhance teaching and learning. If you would like instruction on any program, or if you have a link to add to this list, please contact a member of the Library/Educational Technology staff. You must disable the "Stay Signed In" box in your Google Account. For step by step instructions, see this link. Research Project Calculator The calculator customises the steps for your project according to your research task. Essay Map This interactive tool from readwritethink.org walks you through the steps of organizing their research paper. Mind Maps and Graphic Organizers: These visual thinking tools offer graphical ways to represent ideas and concepts. Notetaking and Bibliographies: These programs help students manage their research. Cartoons and Animation: These tools make it easy to share information or tell a story through cartoons. Educational Games: Learning can be fun and meaningful with these games and simulations. NobelPrize.org: Educational games sponsored by the Nobel Prize organization, on a range of topics related to Nobel Prize winners. Preceden.com:Preceden is an online timeline maker that helps you create attractive, interactive timelines. Social Bookmarking and Curation: Organize and share links, create collaborative resource lists, design online "magazines" using relevant web content. Flashcards/Quiz/Content Review:Teachers and students can create review materials in a variety of fun, interactive formats. Presentation Programs: Ditch the poster project and try something multimedia and interactive. GoAnimate Create videos using images, text, and sound. Present.Me Presentme allows you to create video presentations using existing PowerPoint presentations. You can also record your videos. Projeqt This is a free and easy to use web service that lets users create slides in seconds. Bolide Bolide lets you create presentations in few simple steps. It also allows you to add audio image files, transition effects, and many more. Slidely Slidely allows users to create slideshows using pictures and music. Search Engines: Google isn't the only game in town. Each of the search engines below offers unique features.